Stay up to date on performances and PBE news. 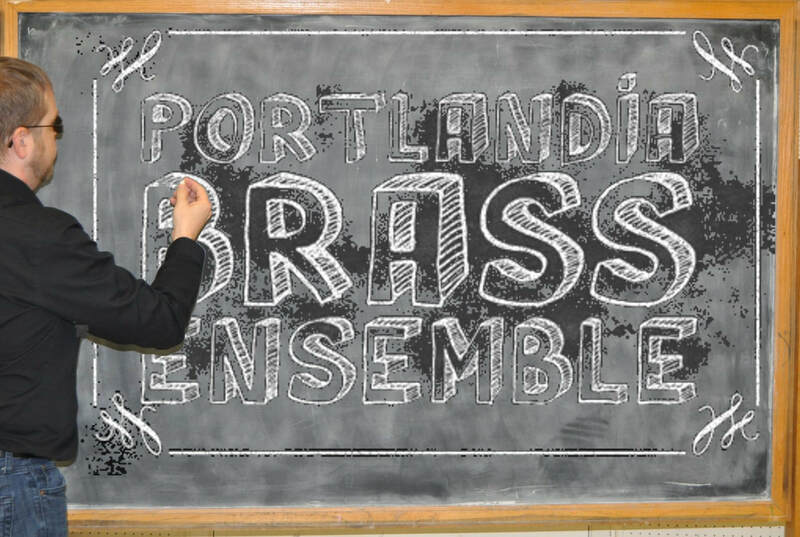 The Portlandia Brass Ensemble is a fun-loving group of active, professional musicians. We built our street cred at well-known music schools (including New England Conservatory, Eastman, UNT), symphonies (like Eugene and Salem), and many exciting music groups. PBE performs in a range of ensemble sizes, most commonly as a quintet. We love to bring music up close and personal. We perform in all kinds of venues, from in-home concerts to traditional concert halls. Our performances include the University of Portland, the Oregon Symphony Prelude, The Old Church Lunchtime Concerts and Groupmuse. Our music programs have 'a little something for everyone' - songs you know, and new ones to love; you might find yourself sitting with the band or playing an unusual rhythm instrument. We look forward to getting to know you! Our repertoire includes: Bach, Beatles, Bernstein(s), Copland, Dukas, Gabrielli, Gershwin, Haydn, Strauss, McFerrin, Mozart, Mussorgsky, Pachelbel, Praetorious, Rimsky-Korsakov, Rossini, Saint-Saens, Wagner and more. Why yes! We do perform pieces made famous by the Canadian Brass and the Muppets. Brass for the Holidaze - Holst, Bach, Beethoven, Tchaikovsky and the Grinch. With lights! We love to design music programs for your specific needs. PBE is an approved Groupmuse performer. You might think that playing this music is its own reward. And we do love it. But oddly, love doesn't pay for sheet music, gas, costumes, instrument maintenance, etc. (but it does cover clever repartee). Push the button to help keep the music coming. Thank you for supporting Brass with Class!